The holiday shopping season is touched off by so called "Black Friday," the day after Thanksgiving. The big chains offer lots of deal busters to get shoppers in stores, and over the past few years stores have been opening earlier and earlier, including no longer waiting til Friday and opening on Thanksgiving. 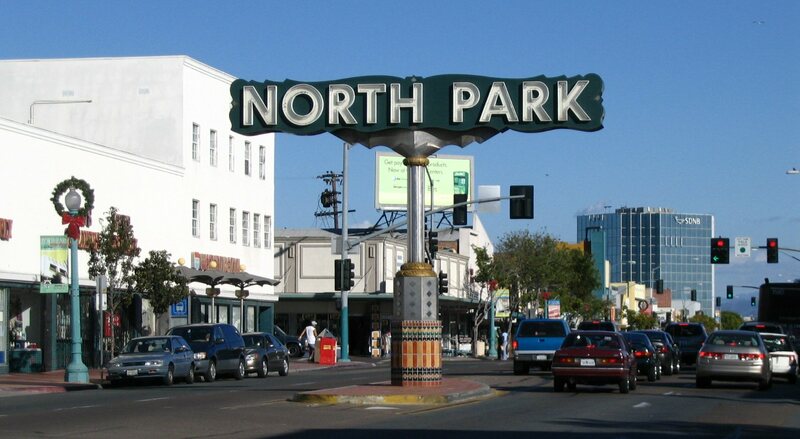 Promotion of independent commercial districts and stores can be a hit or miss phenomenon. Some retailers are good marketers, many are not. 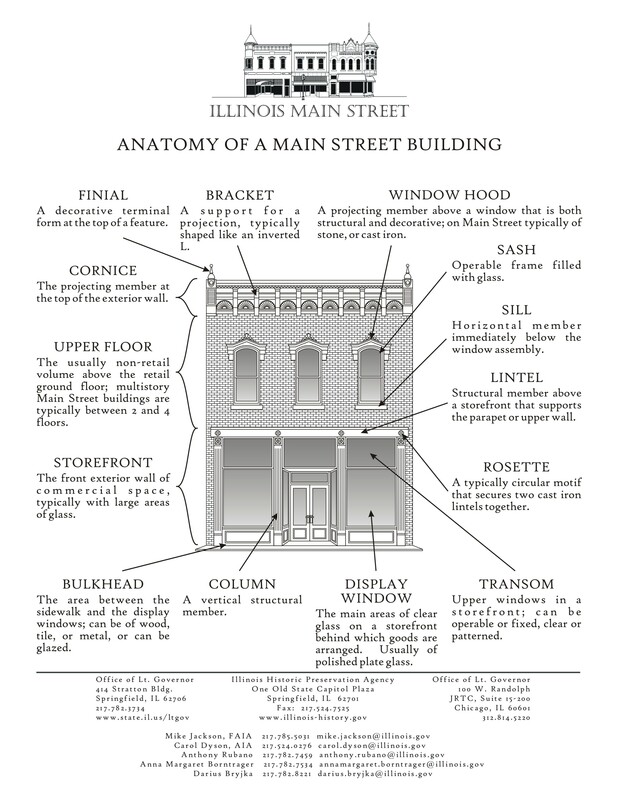 The "Main Street commercial district revitalization approach" was developed to bring new resources to commercial districts, beyond that which are normally possessed by the typical business owner. 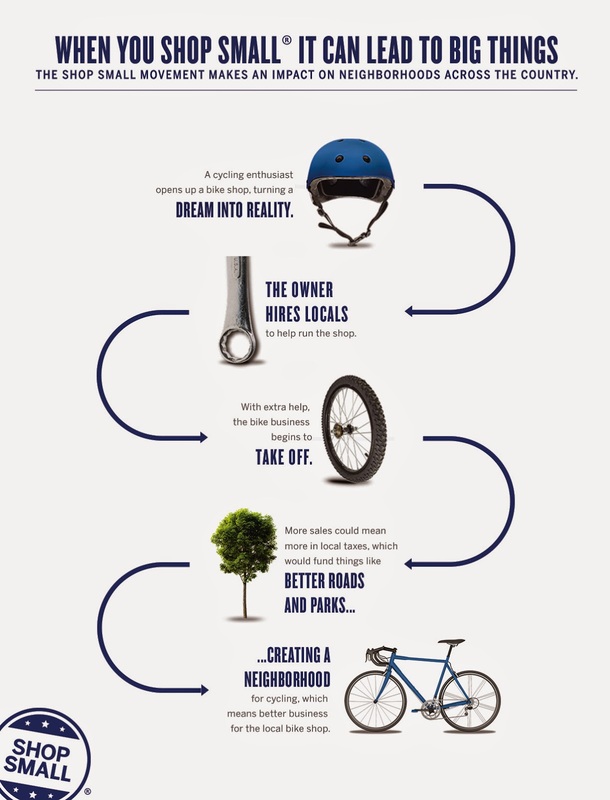 An example of a national program designed to promote small business, but that is realized only if local businesses and commercial districts organize to leverage it is Small Business Saturday. Cyber Monday/Giving Tuesday. Other "interest groups" have jumped on the bandwagon and have developed companion days riffing off Black Friday. E-commerce retail aims to make the Monday after Thanksgiving their biggest shopping day of the season and year, calling it Cyber Monday, while nonprofit organizations promote receiving fundraising donations on the Tuesday after Thanksgiving, Giving Tuesday. For the past few years, the event has been sponsored by American Express, which originally offered inducements to card members as an incentive to shop local on that day. They continue to put a lot of money into marketing, advertising, and promotional support. 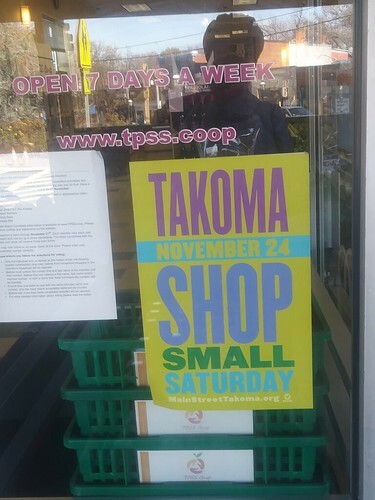 That affiliation with American Express was too corporate for Takoma Park's Old Takoma Business Association, which created its own parallel event but without signing on to the American Express effort. The economic value of shopping locally. Research results are piling up demonstrating the thesis that spending money in stores based locally has greater economic benefit than shopping in chain stores, which buy few services locally (excepting labor) and don't spend profits locally. 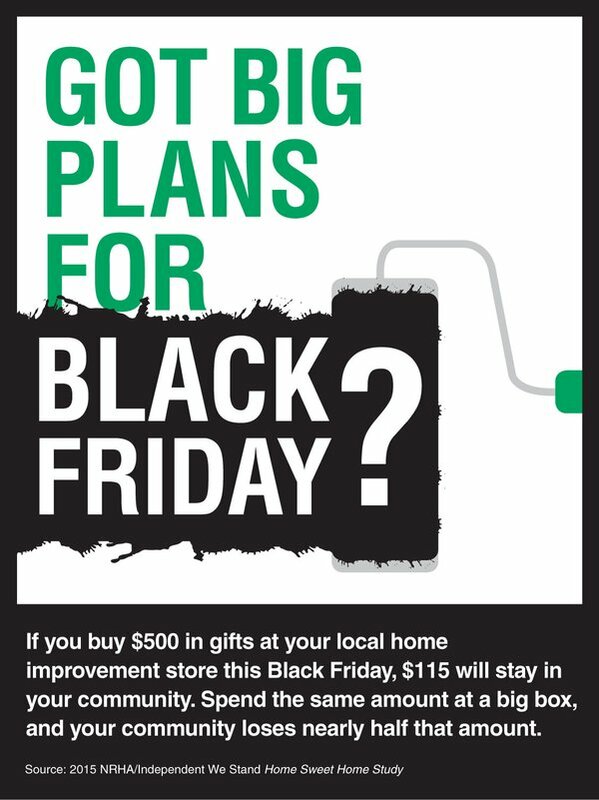 See "Economic impact of locally owned hardware stores vs. big box stores," which discusses an economic impact study done by the North American Retail Hardware Association, which also produced "shop local" holiday promotional materials for this holiday season. Reminders to shop local are necessary. A big campaign promoting shopping at independently owned stores and in traditional, usually town-city based shopping districts as opposed to shopping malls, reminds people that spending money at locally-owned stores is important. The reality is, with so many other marketing messages, people need to be educated and reminded. Hopefully, the kind of inducement previously offered by American Express to their cardholders isn't required. I think this is likely to be the case, because so many other retailers and independent shopping districts are now participating in the program, and marketing to consumer bases that goes beyond the segment comprised of American Express credit card holders. Still, as traditional commercial districts begin skewing their mix of businesses and attractions to food and drink, it becomes harder to "shop locally" at the neighborhood scale, but more possible for "regionally serving small business districts." By that I mean places with a strong representation of quality independent shops selling goods, like Manayunk or South Street in Philadelphia, Carytown in Richmond, Hampden in Baltimore, to some extent Alexandria, Virginia in the DC area, although many commercial districts have some retail outlets that people can still visit--it might be reconditioned or resale of goods stores though. 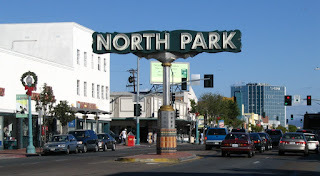 The North Park commercial district in San Diego has a great gateway sign. San Diego funds business improvement efforts with the equivalent of a BID assessment, but many of the programs are organized as "Main Street" programs, which are more volunteer-based groups compared to staff-driven "downtown" associations driven by property owners. One example of how a county business promotion division is using "Small Business Saturday" as a way to promote its businesses and business districts is Macomb County, Michigan. See "Macomb County Shops Make Big Deal of Small Business Saturday," C&G Newspapers. 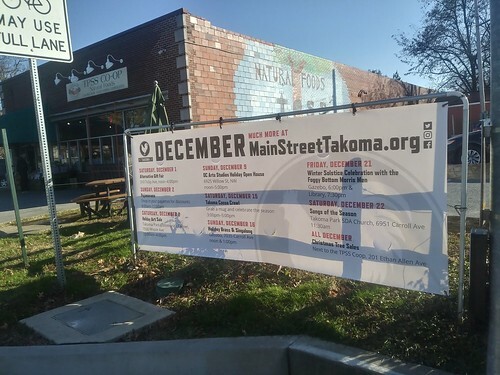 Signboard listing holiday events in Takoma Park's Old Town Takoma commercial district. Holiday marketing beyond Small Business Saturday. Many community business districts have figured out the holiday season, providing a large number of events and activities in a coordinated fashion. And they market these events as part of a comprehensive calendar. In the DC region, Fredericksburg, Virginia, Frederick, Maryland, and Takoma Park, Maryland do a particularly good job. Artisans sell items from booths on the street, and retail stores and restaurants participate as well. For the few years, the Friends of the Petworth Library have held a book sale at the library in conjunction with the event too. That's a particular smart example of leveraging existing events for other purposes, "latching on" and extending the value of the event by adding complementary activities. Holiday Markets. More cities are sponsoring holiday markets, modeled after the famous Christmas markets in Germany. DC has its Downtown Holiday Market, on F Street between 7th and 9th Streets NW, next to the Smithsonian Museums there. Baltimore has created a similar event. Although I will say that a city needs to have a reasonably large population to make such an event work. Hanukah. 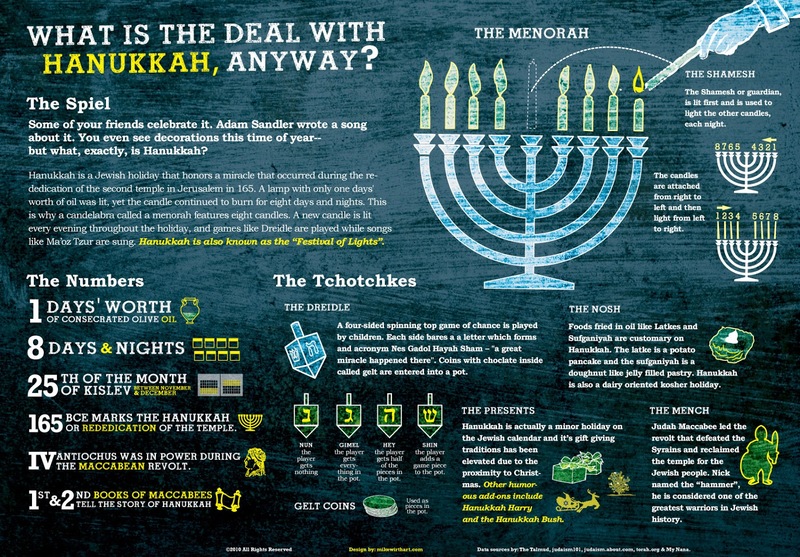 The Jewish holiday of Hanukah isn't a gift-oriented holiday, although gift giving has become an element of it because of how the event and religion exists alongside other traditions. More communities are recognizing that religious traditions other than Christian need to be better acknowledged when planning such activities. NYC lights a menorah each year in Manhattan, billed as the "World's Largest Menorah," during the week long "Festival of Lights" in early December. Had the Macy's Thanksgiving Parade on tv a bit yesterday, while cooking. Eventually changed from NBC to CBS because the latter focused more on the parade than all their various special sponsor promotions. I can't remember which channel it was, but they featured a short story on how Ebay is a great option for holiday shopping. Considering they were showing the "Macy's" Parade and that Macy's is primarily a "brick and mortar" store and that the department store category is declining in response to changes in shopper behavior along with e-commerce, I thought that was pretty ironic. Of course, when NBC's feed did an interview with the CEO of Macy's, I helped offered the tv some suggested questions, such as "how many stores might you be closing next year?" apparently, there is now Museum Store Sunday too.